UN-HABITAT Young people playing sports at the Mogadishu One Stop Youth Centre. With Rio’s hosting of the Olympics, the international community has the opportunity to see the full potential of the human spirit as expressed by a cohort of young athletes in their prime – and older athletes who show that they still have what it takes. The Olympics remind us of the importance of urban sports as an essential element of society and how sports can become a tool for peace-building and development. Yet, many young people around the world are still unable to realize the benefits of sports with the lack of adequate, accessible and safe public space. A huge portion of people living in cities are young people under the age of 25 – in some cities in the developing world up to 70%. Public spaces compose the backbone of a city. They are often safe havens for people to meet and interact and are perfect places for self-expression. Due to increasing difficulties to access adequate services and very limited opportunities to break into labor market, these young people often fall into disillusionment. It is then that public spaces become more important as a venue for the social inclusion of young people into a community. Often public spaces are too unregulated and in appalling conditions to be considered safe and healthy. Nevertheless, young people are the largest demographic to use public spaces globally. Planning considerations have to provide for a rational urban structure to support the protection and organization of urban open spaces. Public spaces such as parks, green areas, streets and squares need to be carefully re-thought. Well-designed public space not only contributes aesthetic qualities but also refreshes economic activities and enhances the functionality of our cities. Our cities must be spaces that facilitate social, economic and environmental progress, yet current rapid urbanization poses many challenges. The spatial distribution of people and resources, and the use and consumption of land create challenges that are hard to deal with. Dramatically sprawling cities struggle to cope with rapidly increasing urban population, becoming hubs of despair rather than hope and prosperity. The situation thus requires new approaches and strategies to urban planning to address social, economic and environmental issues and provide for sustainable and resilient cities. 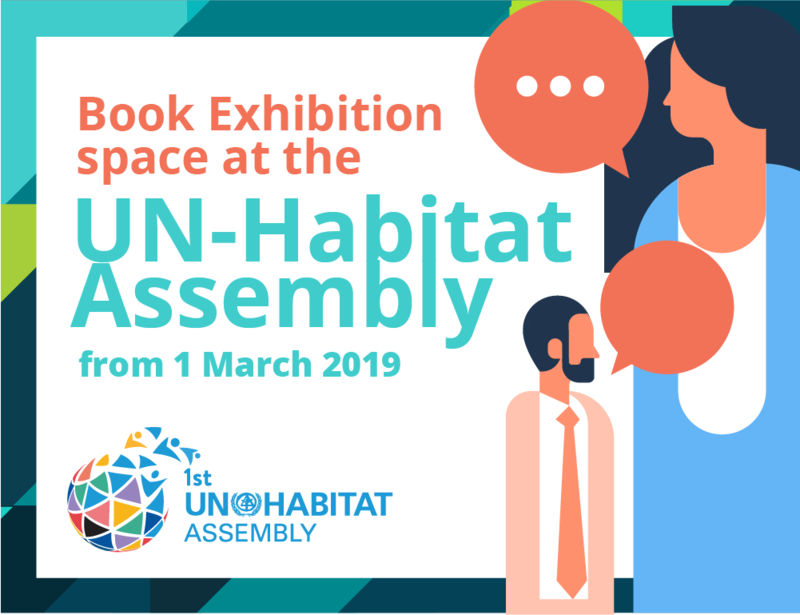 UN-Habitat through its Urban Space and Sports programme is seeking to demonstrate that the provision of public structures such as sports centres and spaces will promote social connectivity, diversity and healthy styles, making the neighbourhood more cohesive. Youth culture around sports and arts bring vibrancy and attractiveness to a city, which draws more business and development. Many cities still underestimate the importance of a city’s look and feel, public spaces and public infrastructure. They ignore the correlations with quality of life, social development and overall human well-being. Appealing cities are more likely to attract creative, innovative and skilled workforce and new investments, so vital for urban economy. Most cities are faced with the challenges of managing rapidly expanding developments while integrating a large youth population. Sport then becomes an excellent tool to attract, mobilize and engage young people in community life. Providing suitable sport infrastructure and facilities thus present a great intervention to address these challenges. This applies particularly in marginalized urban communities and informal settlements. Spatial restrictions in these areas are challenging but can be solved with creative and innovative approaches. Mlango Kubwa is a community of approximately 20,000 dwellers in Mathare, one of Nairobi’s oldest slums. Young people growing up in this neighborhood have their fair share of challenges to face despite some positive improvements in the recent years. An important force for this development has been the Mathare Environmental Conservation Youth Group, a self-organized youth group fighting to make Mlango Kubwa better, safer and inspiring for its children and youth. Although they started as a waste management group that collects garbage from residents for a small fee, the creation and renewal of public spaces in Mlango Kubwa has also long been an important mission for M.E.C.Y.G. as they started with reclaiming random spaces for playing football. Originally, the group didn’t have any permanent space to play but would use available areas of roads and other spaces to kick the ball around. Building a multipurpose youth center and a football field are their biggest success stories thus far. Access to land is generally highly contested issue in slums, and the increased privatization of land also threatens the possibilities of claiming and maintaining spaces for pubic use. They had to play politics, promising support to the politicians running for elections in exchange for the opportunity to build a youth center on one of the publicly owned piece of land. Isaac Mwasa, or Kaka which translate as elder brother in Ki-Swahili, stated that “this center was a big heap of garbage. We used to play here when we were young, and that was not a good thing for us. People would throw very bad things, even aborted babies, and there would be dogs eating the corpses. For us, this was not a good thing to see, and it was not a good neighbourhood to grow up in”. The Slum Soccer football field is another symbol of the influence that MECYG has, as they managed to claim the space for public use, after a struggle against private interests that grabbed and tried to hold on to the land for commercial purposes. The field is centred in the middle of Mlango Kubwa, and is overlooked by the surrounding buildings. With the recent establishment of floodlights, the field is now safe environment for young people both during the day and after the dark. Kaka claims that space has meant an improvement in terms of security in their community. Both the center and the football field has been recently visited by the Secretary General’s Envoy on Youth, Mr. Ahmad Alhendawi. He was very impressed by the developments and spirit of the local young people that take the matters in their own hands and work together to make a change in their community. UN-HABITAT Young girls participating in sports at the Mogadishu One Stop Youth Centre. 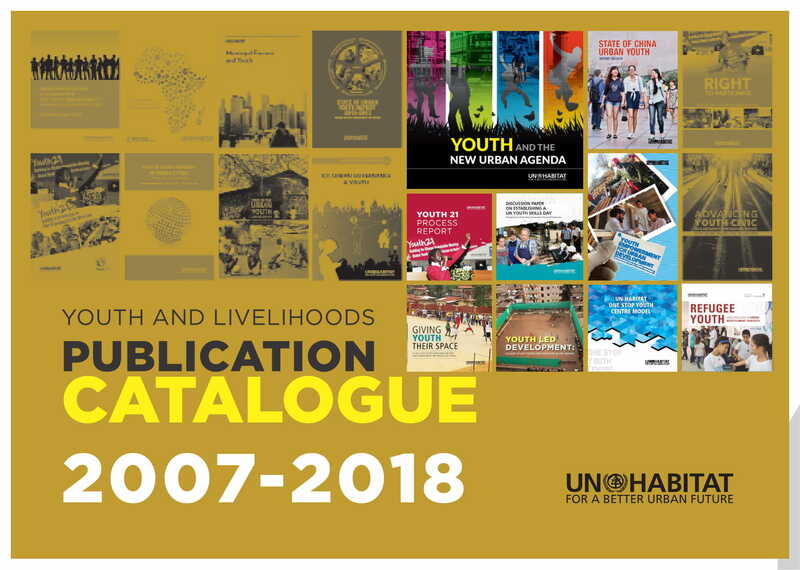 UN-HABITAT has a long tradition setting up multipurpose youth centeres in urban areas to support youth empowerment on many fronts. The One Stop Youth Center model has been implemented in several cities across East African region providing safe space for young people to come and play, interact with peers and learn new skills in a friendly environment. Space to play sports is an essential component that proved to be immensely successful as the centers without such facilities are less frequently used. The most successful center is in Rwandan Capital of Kigali. Kimisagara One Stop Youth Centre is built as a partnership between UN-Habitat and Rwandan Ministry of Youth and ICT. It utilizes an integrated approach to youth development by providing youth with safe spaces in urban settings where they can meet and access information. The One Stop offers not only skills training to increase employment opportunities for young people but also cultural and sport activities, health services and other opportunities, including usage of sport and recreational spaces available at the center. The Kimisagara One Stop Center is regarded as a successful model, with approximately 1000 youth in Kigali utilizing the space on a daily basis. “I fled my country because of war. I came to Kigali knowing nobody, having nothing. Kimisagara One Stop Youth Center became my safe haven.” stated Fleury, a Burundian refugee in Rwanda and One Stop participant, “I started to play football for their club. Over time, team-mates started to help me with small money and food. Later I was discovered and scouted by a coach from a local school and went on to practice football and go back to school. Kimisagara saved my life”. The Olympic Games is all about excellence in sport. Athletes all around the world strive to one day compete at the Olympic stage, making their nations proud. But the journey to the top is everything but easy as too often young people do not have access to a place to play and practice sports. For too many children and young people, competing in Olympics thus remain just an inaccessible dream. 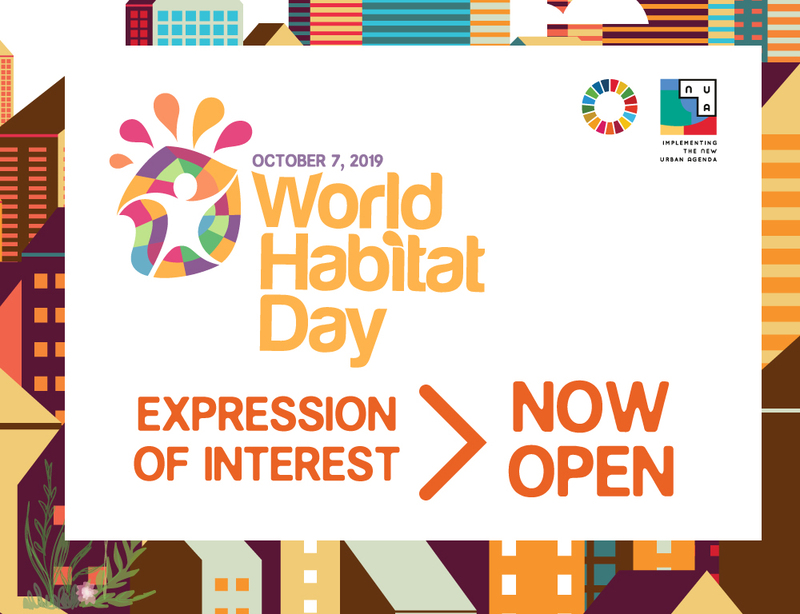 UN-HABITAT is 100% committed to work with local and international partners to promote integration of sports infrastructure and recreational facilities into youth-friendly urban planning. Accessible and affordable sport opportunities provide alternative past-time to young people, helping them to avoid crime and other risky behavior patterns. This is even more important in informal settlements than anywhere else. For young people with marginal incomes or in crowded housing, access to high quality public spaces for sports and recreation is crucial to maintaining good health, strong social networks and the necessary psychological balance to endure trials of growing up in the city. Empowering young people, especially in the most marginalized and vulnerable urban communities is at core of our work. Olympic Games are symbol of hope. Many athletes have come from difficult backgrounds or had to overcome impossible odds to get that far. We have an opportunity here to make it a little easier for many young people worldwide to take the first step to sporting success. More importantly, we have an opportunity here to enable many young people to gain confidence and skills to become leaders in their community by providing them access to safe spaces and opportunities to grow and develop. Let’s work together to make it happen.